This amazing time capsule is in Bowes Park, North London. 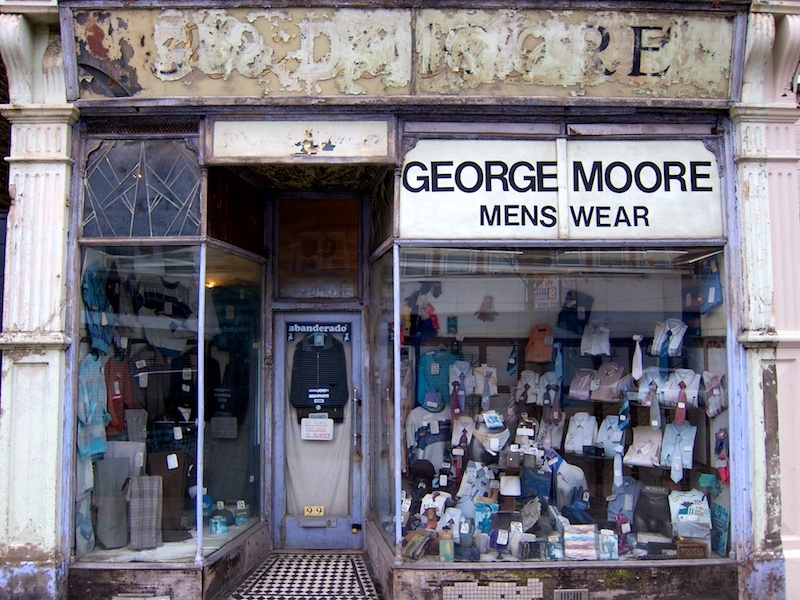 The shop has been untouched for 13 years since Brian Moore (son of founder George Moore) retired. Much of the stock is much older, appearing to date from the late 80’s. The items on display have slowly begun to disintegrate over time. 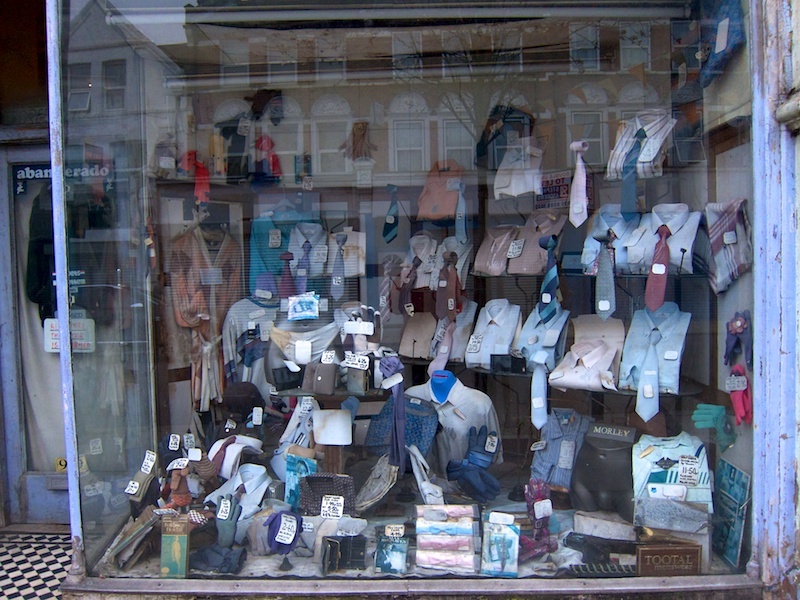 A pair of stained underpants occupies pride of place in the center of the window. Shirts with mildewed collars and rust stains where their metal stands have begun to oxidize show the inevitable effects of gravity and time. 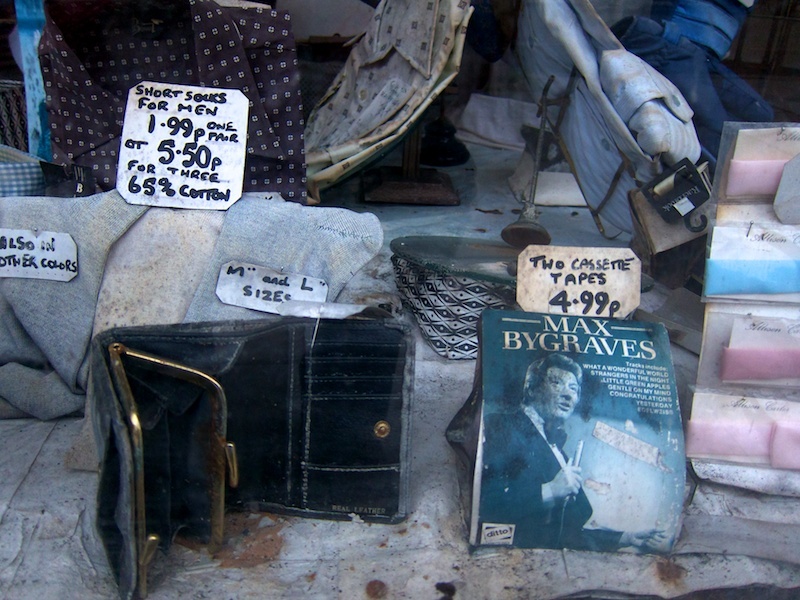 Faded Max Bygraves cassettes and rusty wallets complete this defiantly individual museum of entropy.